French President Emmanuel Macron has appointed three new government members in an expected cabinet reshuffle, including the minister who will be in charge of handling Brexit-related issues. A lawmaker with Macron's party, Amélie de Montchalin becomes junior minister for European affairs, a statement from the French presidency said Sunday. The 33-year-old economist studied at Harvard Kennedy School before working for insurance company AXA and as a political analyst at the European Commission, the EU's executive body. 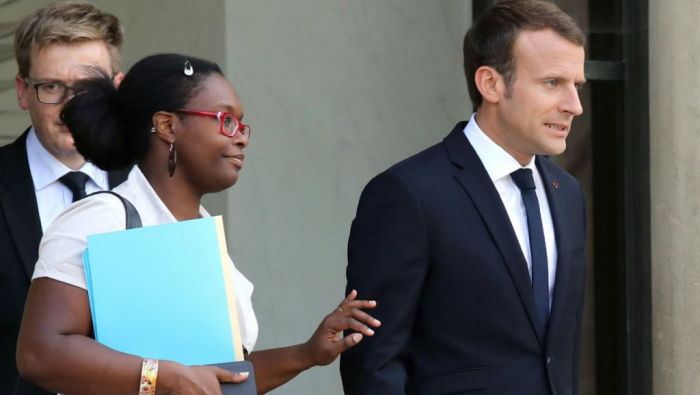 Sibeth Ndiaye, previously Macron's communication adviser, has been appointed spokeswoman of the government and Cédric O is the new junior minister for digital affairs. Former European Affairs Minister Nathalie Loiseau left the government to lead Macron's party in European parliamentary elections in May. Ndiaye, 39, and O, 36, respectively replace Benjamin Griveaux and Mounir Mahjoubi, both of whom resigned from the government last week to run for Paris mayor in 2020. Their exits bring to 10 the number of ministers who have quit since Macron’s election to the presidency in 2017, a record at this stage of a presidential term.